Athena DC 1.0 – Right Around The Corner! We’re less than a week away from Athena DC 1.0 at Sea Air Space, and we’re excited to bring forth some tremendous ideas from around the fleet! At 7:00 PM on Monday, May 16th in the Potomac Room C at the Gaylord National Convention Center, we’ll have six Sailors pitching their great ideas to make the Navy better in front of the assembled crowd as well as a panel of four esteemed thought leaders in the innovation space. The panelists will provide a great perspective to each presenter, bringing forth their wealth of knowledge to give insightful feedback after each presentation. VADM Phil Cullom, OPNAV N4; Dr. Ralph Semmel, Director of Johns Hopkins Applied Physics Laboratory; Dr. Larry Schuette, Director of Research at the Office of Naval Research; and Sharon Beermann-Curtin, Deputy Director of the Strategic Capabilities Office join our team for the night to help propel these projects further. Our presenters, in alphabetical order, are HM2 Joshua Cranford of the Annapolis Naval Hospital, MA2 Edward Glospie of NSF Lakehurst at Fort Dix, LT James Landreth of the Naval Nuclear Power Training Unit in Charleston, AT1 Michael Pecota of FRCMA Detachment Patuxent River, LT Takeru Tajiri of LCS Crew 104, and LT Daniel Walker of Naval Supply Systems Command. The Gaylord National Convention Center – Ground Zero for Athena DC 1.0 on Monday. Come by! It’s FREE! These six presenters were selected by the Athena National Council from an incredibly impressive group of submissions. For those not selected this time around, fear not: There will be loads of opportunities to get your great ideas on stage in the future. In addition to our presenters, we’ll have a past Athenian at the event to share his innovation success story with the crowd. While the awesome things that people have done in the realm of Department of Defense innovation often inspire us, our team is especially excited to give the stage to LT Jason Shaw to share his stories with the group. LT Shaw, a participant at Athena East 1.0, will be sharing his story of innovation at his command and a funded project that he’s brought to life. The scene at Athena West 4.0 in San Diego. We’re excited to add new Athenians into our midst! For those unfamiliar with The Athena Project, here’s how the event works: presenters will have five minutes to present their idea. After the pitch, the panel will provide brief feedback to the presenter, which will be followed by five minutes of question and answer from the crowd. Once the Q&A is complete, the crowd will vote on the concept, grading the idea on three criteria: Idea quality, Actionability, and Presentation. Once all our Athenians have pitched their concepts, our team will calculate votes in order to determine the winner of the Admiral Sims Award for Intellectual Courage, which earns the lucky presenter the power of the Athena network to turn their idea into reality. For all the fellow innovators in the region, admission to Sea Air Space, as well as Athena DC 1.0 is free, so we hope to have a great turnout to support the three officers and three enlisted Sailors that have demonstrated the intellectual courage to share their big ideas. Remember: No uniforms necessary – this is a casual event that’s open to all! Looking forward to a great time on Monday night! See you there! BMSN Robert Dorsey explains his innovations for the next generation needle gun. What an incredible update for one of our Waterfront ATHENA 7 innovators! 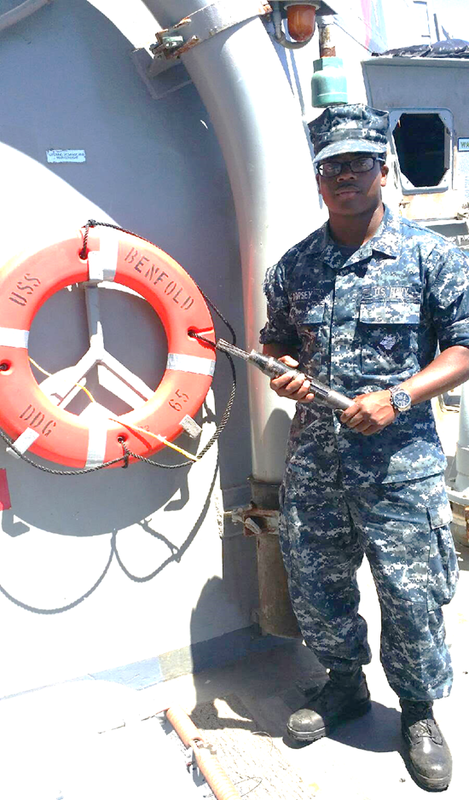 BMSN Robert Dorsey’s “Rustbuster” innovation recently caught the attention of Scientists from Commander, Naval Surface Forces SES! With CNSF granting specific funding for further research and prototypes, Susie Alderson and her team of advisers recently visited Dorsey onboard USS BENFOLD to take a look at his idea in action! Dan Green, Director of SPAWAR’s Joint Advanced Manufacturing Region Southwest and the Secretary of the Navy’s Innovation Implementation Lead for Katalyst 21 was one of many advisers who met with Dorsey. This is promising opportunity for the San Diego ATHENA community! BMSA Dorsey led the team through his divisional spaces, explaining the issues faced with current Needle Guns and illustrating the areas where current tools onboard cannot fully tackle preservation challenges. Pete Schmitz of Intel Corporation was fulled immersed in Dorsey’s walkthrough. Utilizing revolutionary 3-D image mapping technology on a tablet, Pete was able to photograph the difficult equipment and spaces that Dorsey highlighted. Using specialized software, the CNSF team will combine those 3-D images with Dorsey’s prototype ideas to develop several solutions for prototype. The design team at CNSF is currently working these prototypes and intends to return their results to Mr. Dorsey in the coming weeks! Tom Baker is the First Lieutenant onboard the Ballistic Missile Defense Guided Missile Destroyer, USS BENFOLD (DDG 65). He is a graduate of Oregon State University in Entrepreneurship. 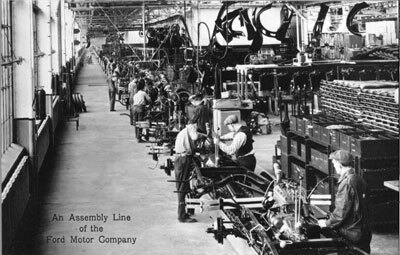 In 1913, the Ford Motor Company introduced a revolutionary innovation that changed the shape of the automotive industry forever – the moving assembly belt. The innovation helped Ford produce more of it’s Model T, which was sweeping the nation at the time, transforming the automobile from a novel curiosity to an accessible tool that would change the world. While the great innovator and businessman Henry Ford is credited with this innovation, the true source of this great innovation was from an entirely different domain – the meat packing industry. Ford, and more appropriately Ford’s brilliant team of engineers that did the majority of the design work for the auto manufacturer’s Detroit plant, looked to slaughterhouse practices used in Chicago in the late 19th Century for inspiration in an industry that had little more to do with meat than driving it to the market. Despite that fact, Ford’s team had the wisdom to keep their minds open to finding ideas in unlikely places. The team’s open-mindedness led to revolutionary changes that have impacted the lives of everyone on the planet to this day. That’s the power of cross-pollination. Cross-pollination is the discovery of new ideas and unique solutions to challenges through inspiration from unlikely sources. That source could be anything from exploring a new hobby that inspires a change in your frame of reference to the application of a new or interesting product to a problem you are facing. Or you could simply consider a diverse viewpoint from someone who thinks a little different than you. Kelley’s book is a great resource for building innovative teams and solving tough challenges. Many books, blogs and articles have discussed the benefits of cross pollination and recombinant innovation. Most notably, in the 10 Faces Of Innovation, Tom Kelley says that cross-pollinators (one of the titular 10 faces) have an uncanny ability to stir up new and interesting ideas by looking broader, into unexpected worlds that may not even seem relevant to the problem you may be facing. 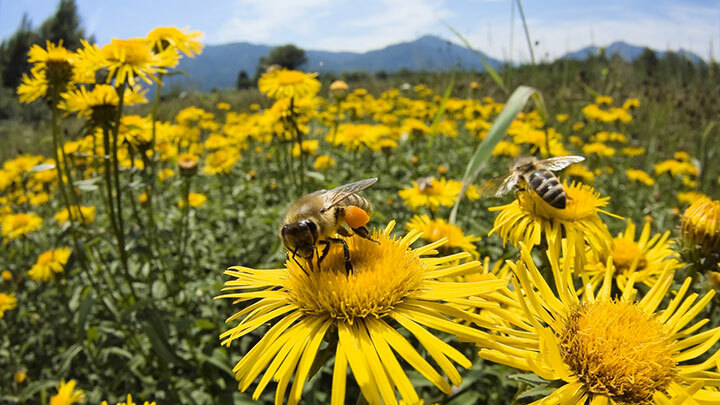 While that may sounds like one would need a particular set of skills, a la Liam Neeson in Taken, but truthfully anyone can be a cross-pollinator. I have a very particular set of skills. 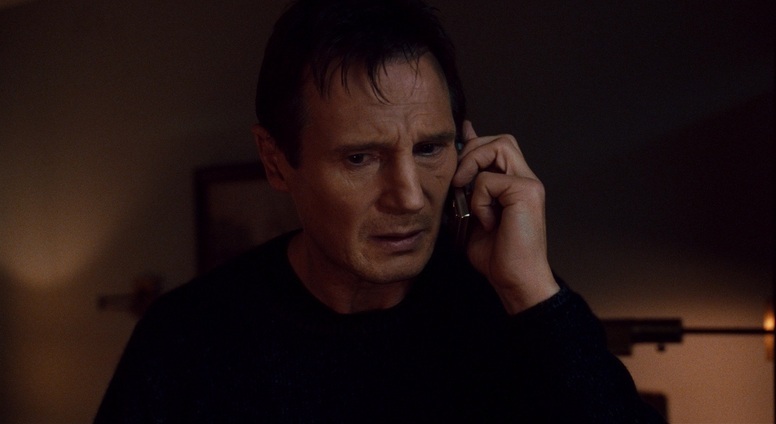 I will find you, and I will innovate. Case studies on cross pollination and recombinant innovation are everywhere – In the video rental industry, Redbox gained a competitive advantage through harvesting inspiration from vending machines and their closest competitor, Netflix, leveraged inspiration from the Postal Service after CEO Reed Hastings was frustrated by paying a $40 late fee to a traditional video rental provider. In the Navy, look no further than the Tactical Advancements for the Next Generation (TANG) team, who hosted a design thinking event in San Diego recently that Tom Baker talked about on this blog. An idea emerged from an early event that the team hosted to replace the $128,000 joystick submariners use to control periscopes with an intuitive (and cheap) $28 Xbox controller. That concept has made its way onto new Virginia Class submarines and even earned an excellent hashtag at a Fast Company conference in San Francisco last year – #SuperMarioSubmarine. We’ve also had many examples of cross-pollination in some of our past Athena pitches. The Environmental Acoustic Recognition System (EARS), Rob McClenning’s winning idea from Athena Two, was an conceived by looking at Army technologies; and Bill Hughes’ celestial navigation system proposal CosmoGator was devised after downloading a Star Finder app for iPhone – just to name a few. Be Engaged – A critical prerequisite to cross-pollination is starting with the right mindset. To truly remove your internal governor and enable the benefits of cross-pollination into your routine full throttle, you have to be engaged and observant. If you’re not engaged in your current surroundings, and observing the small nuances in the way things work, then you may miss an opportunity to affect positive change. Spark Your Intellectual Curiosity – A genuine desire to learn about new things would be another prerequisite. If you don’t have an inherent curiosity to learn new things, then the rest of the tips below, and cross-pollination in general, may not make sense or even appeal to you. To be able to take new concepts onboard and apply them when the time is right, then your desire to learn must be genuine. 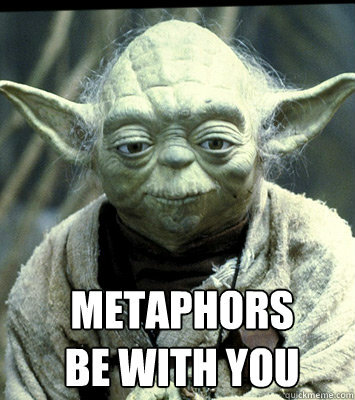 Use Metaphors – Allowing different perspectives, or describing things in a different way can enable viewing a problem from a different angle, which could bring with it some unlikely and powerful solutions. In the past few months on design thinking projects that I’ve worked here at Johns Hopkins APL, I’ve likened technical leadership paths to Dungeons and Dragons and personnel evaluations to the popular Madden series of sports video games. While those ideas certainly were not the answer, they sparked a discussion and eventual solutions that the group may not have considered using traditional descriptors. Try it in your everyday ideation – you may be surprised by what you and your team come up with! Stretch Your Aperture – Being open to new experiences and schools of thought is key. An easy way to achieve a wider perspective is by simply using some of the social media tools widely available right now. Twitter is great because you can customize your own feed. Start by following some different accounts – adding a few artists, marine biologists, or toy manufacturers to your list might cause something unexpected to pop onto your feed as you’re scrolling and may ignite an a-ha! moment for you. Taking that a bold step further, try joining an interest group that you know nothing about. Sign up for a class – from improv to crocheting to coding – learning a new skill will introduce you to new perspectives as well as new people. And if all else fails, talk to a stranger while you’re waiting in line at Starbucks. You never know what you might learn. Ideate And Share – While your big idea is in its formative stages, share it out early. Pull together a diverse group and capitalize on the diversity of thought it provides. The military is renowned for having members from all over the country and even the world working side by side. With every different individual background comes a different and fresh perspective that could propel the development of a solution that you would have never thought of on your own. In our daily jobs, we can all have tendencies to keep our heads down and operate only within our bubbles to solve everyday challenges. There certainly are problems that we can face and solve by only seeking inspiration within our immediate surroundings. In fact, this is an appropriate method for specific problems that may only have a few specialized solutions. However, if we rely solely upon our personal work silos for inspiration, we could find ourselves solving problems that don’t need to be solved. 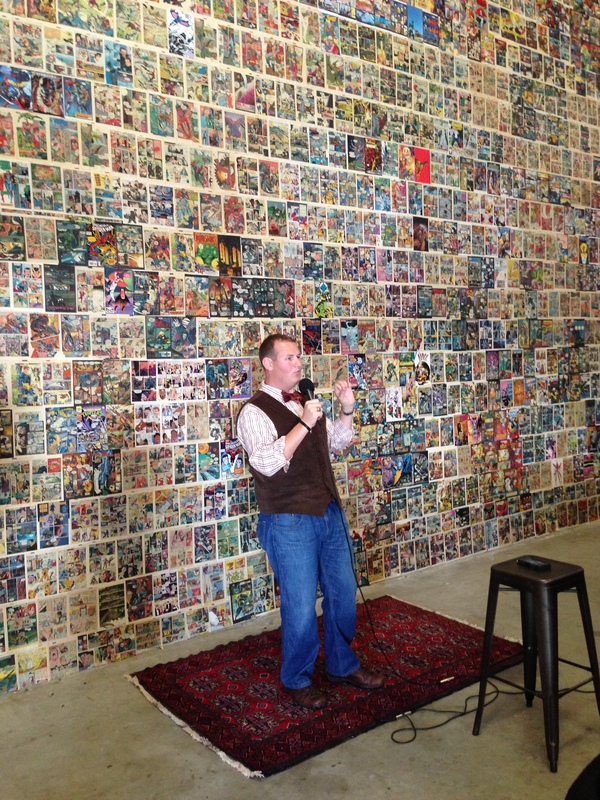 So, how might you harness the power of inspiration from unlikely sources? What challenge might you solve by looking in unexpected places? What new idea might you cook up by cross-pollinating from an unrelated field? If you try it, you might be surprised what you find. Dave Nobles is a member of the Design Thinking Corps at Johns Hopkins University Applied Physics Laboratory and the founder of The Athena Project. In the San Diego or Norfolk areas? Well, join us for Athena 8 in San Diego on August 28th and Athena East 2.0 in Norfolk in October! Have an idea you want to present? Message us!